Would you describe your book as a cautionary tale? If so, who is it for? I would describe the book as a cautionary tale. In Appalachian studies we’ve often been upset about negative stereotypes of the region, with good reason, the negative views of the region have allowed for the exploitation and denigration of the region in ways we have to challenge. What I found is that best-selling fiction often celebrates the region, but in doing so, often makes positive generalizations. In the book I worry celebrating Appalachia has the risk of being a way to celebrate simple white country people, to avoid thinking about issues of diversity and globalization by imagining there is still this safe, white space in the U.S. So it’s a cautionary tale in that I wouldn’t want, in our enjoyment of Appalachian fiction, to ignore the fact that some readers turn to fiction to celebrate whiteness and xenophobia. And, ultimately to imagine America as a simple, innocent place, that’s incapable of doing wrong in the world. You conclude that people consume regional and Appalachian literature b/c they’re seeking belonging and a sense of identity, to ameliorate anxieties about race, immigration, homogenization, mass culture, rootlessness and lack of community. Do those anxieties manifest themselves in other ways, in people’s behavior or lifestyle choices, besides consuming this type of literature? Sure, I think it can be manifested in other kinds of cultural products, from movies like “Songcatcher” or a painting of a mountain landscape. It might affect where people choose to vacation or buy a second home….That’s one of the things I find throughout the book, the most mobile people are often the ones who most need the image of Appalachia as rooted, communal and static. Do you think that need is born out of homesickness? I do. I especially saw in the John Fox chapter. Fox sold himself as someone who really knew the mountain people, which isn’t very true. He grew up in Central Kentucky. What he understood really well and what he got fan mail about was what it was like to be away from home. He traveled and lived in a place where people put down Kentucky so he understood being torn between both worlds and that’s what spoke to many of his readers. Is it possible to read Appalachian literature, enjoy it, and not be guilty of identity seeking? I’m not sure I would call it a guilt. It’s certainly an understandable impulse. These are national best sellers I’m looking at, some readers are not seeking their own identity, their trying to educate themselves about another place and another people, although they may be getting only a partial picture. But people who may have moved from the region, or with parents and grandparents who were raised in the region, may feel like they were robbed of sense of place and sense of community. I do think that for many of the most passionate readers, whose fan mail I read, that’s a huge draw, is to understand themselves and to understand their relationship with the places of their lives. Is there a way to touch feelings of home & explore Appalachian heritage without endorsing racism, nationalism, imperialism or a false sense of authenticity? If so, what does that look like? For me, one way to do that would be to recognize complexity of the region’s history, to not recognize only the Scotch Irish, as there were other European settlers and certainly Native American and African Americans were making huge contributions to the culture, and today Latinos are in many parts of the region. As long as you’re open to recognizing the complexity of the region, its newcomers as well as people who have multi-generation ancestors. How and what might finally change these imagined aspects of Appalachia? As you’ve noted Appalachia is becoming more urban and suburban in this work and in others. When and what might cause people to finally see it that way? I don’t know, it would take stories that spoke to people’s lives, in those new situations where they’re trying to understand themselves, either as rural people in urban places, or suburban people who have relationships to multiple kinds of places. One of the things that could help would be more stories, more voice and perspectives. But if the publishing industry doesn’t see a market for that, then it might be difficult for those stories to be told. 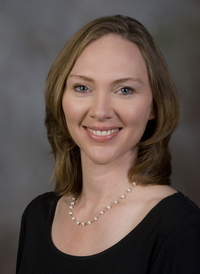 Emily Satterwhite is an assistant professor of Appalachian Studies, American Studies and popular culture at Virginia Tech and has published inAmerican Literature, Journal of American Folklore and Appalachian Journal. Publishing stories that demonstrate “suburban people who have relationships to multiple kinds of places” would indeed prove worthwhile. For me, this makes sense, because growing up in small-town West Virginia, I learned to appreciate those values that distinguished “us” from mainstream America, but at the same time, I recognized my homeland seemed to be regarded as inferior by those outside the region. Therefore, I recognized the best way to positively affect external perceptions was through my own self-presentation. So to Satterwhite’s point, the more Appalachians, as individuals, can demonstrate their place and relevance within the contemporary happenings of society, the more an accurate identity can be formed. And although publishers may not find such stories marketable, fortunately their is a mechanism that allows us to bypass such gatekeepers: THE INTERNET.